As the biggest horror movie of all time, IT destroyed all expectations at the box office. Now, part 2 is deep into production guaranteeing a great follow up to the highly successful opening chapter of the Stephen King story. Returning to Derry, the grown up Losers Club will once again do battle with the evil being known as Pennywise. The sequel picks up 27 years after the original seeing the adults face the demons of their past as the saga comes to a close. 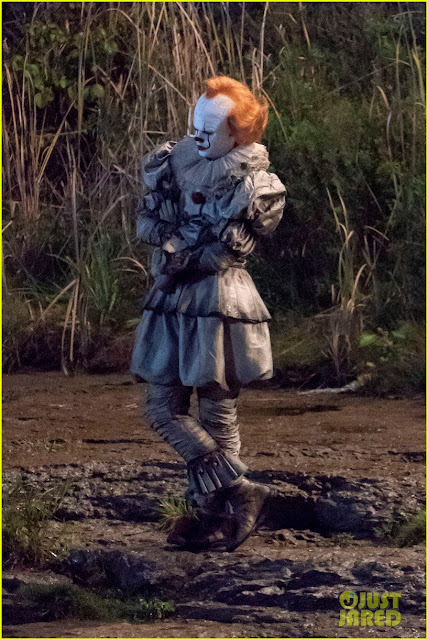 Check out the photos that were just released at Just Jared of Pennywise getting down and dirty. Check out more photos at Just Jared.